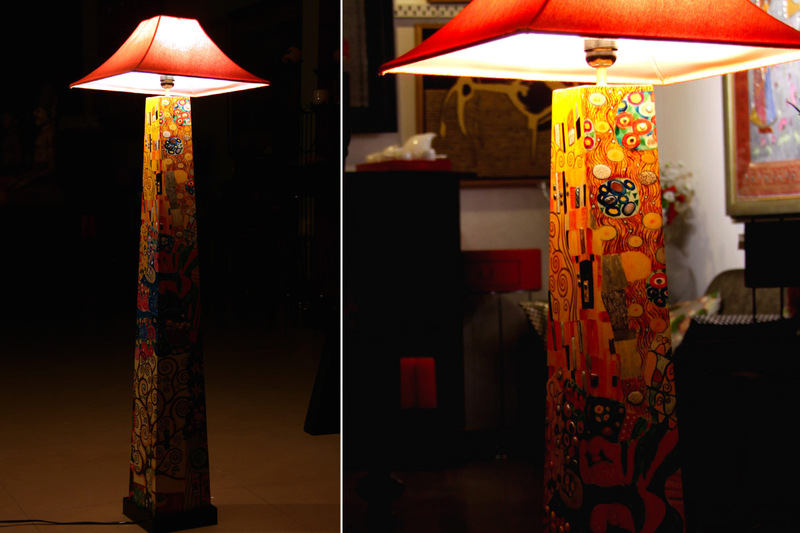 The design of this floor lamp draws upon the look of hand painted charm. This wooden floor lamp is inspired by a famous painter and accentuated with mother of pearl inlay. Perfect for a contemporary set up, its flattering light will create a welcoming atmosphere from behind tables, armchairs, or next to the sofa.